A new electric bicycle report from Navigant Research suggests that by 2025, e-bike sales could lead to annual revenues of $24.3 billion. The electric mobility revolution is in full swing, and although much of the attention tends to get focused on electric cars and buses and such, the highest selling electric vehicles on the planet are actually electric bicycles (e-bikes), with a projection of some 35 million e-bikes being sold this year. This popularity is with good reason. E-bikes are much more affordable than a full-sized electric passenger vehicle, they’re smaller and easier to park, and because they’re not really that different from a conventional bicycle, it’s not much of a leap for the average consumer to adopt this electric transport option. E-bikes don’t require a license, don’t require any additional infrastructure to operate, and are zero-emissions at the point of use, so they are an increasingly appealing option for low-carbon and low-cost mobility. Add to that the fact that battery technology is improving all the time, both in increased capacity and decreased costs, and that e-bikes are a great last-mile and multi-modal option for increasingly crowded cities, it’s no wonder that the e-bike market is exploding. According to the new report from Navigant Research, which includes both pedelecs (pedal-assist) and throttle-based e-bikes, the largest global market for electric bicycles is China, and the largest segment of e-bikes are currently powered by sealed lead-acid (SLA) batteries, but both of those elements look poised to change in the next decade. 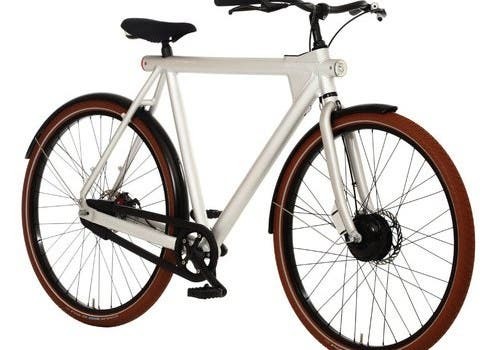 Innovations in Li-ion battery technology, which is a less environmentally harmful option than SLA batteries, along with delivering higher performance, are expected to play a large role in the rapidly growing e-bike market. The report suggests that total annual e-bike sales in China is expected to decline because of market saturation and “new bans on e-bike use in large areas of major cities such as Beijing, Shenzhen, Shanghai, and Guangzhou,” but that the market for Li-ion e-bikes is expected to grow “considerably” because of “strong government support for the technology” and decreasing costs for Li-ion batteries. In Western Europe, the growth of e-bike sales continues to be “steady and significant,” and e-bikes there are expected to shift from being a “specialty commuting” option to a “standard bicycle form” accessible by all cyclists over the next decade. Due to lower gasoline prices in North America, the e-bike market was “relatively flat” in 2015, and the market is going through a transition toward higher quality e-bikes, with the consequence of “several lower-priced models” being discontinued. Moving forward, Navigant Research projects a compound annual growth rate (CAGR) of global e-bike sales of 0.4% from 2016-2025, which reflects an “anticipated decline” of -0.8% CAGR in China’s e-bike sales over that period. With China’s market excluded from the figures, the global e-bike market is expected to experience strong growth, with sales expected to grow from 3.3 million units annually to some 6.8 million units by 2025, with the lion’s share of the growth coming from Western Europe and in markets such as Japan and Vietnam. The overall share of e-bikes in the bicycle market is expected to stay steady at 22% over the coming decade, due to the projected decline of the e-bike market in China, but to “significantly increase” in all markets outside of China through 2025. The overall e-bike market is forecast by Navigant to grow from an estimated $15.7 billion in 2016 to somewhere in the range $24.3 billion by 2025. The full report is available at Navigant Research: Electric Bicycles.